Archiving a newsletter is a beneficial feature and we recommend that you turn it on. If you turn it on you enable social media sharing of newsletters as well as the possibility of having an archive on your homepage. You can set up the feature before and after the scheduled time of delivery. If you want to archive the newsletter immediately, before delivery send time, go to Change settings in the Newsletter overview. 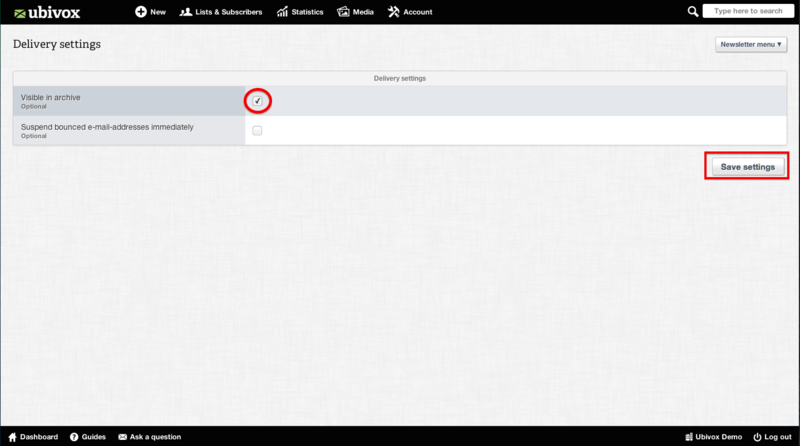 Then click the checkbox Visible in archive and Save settings. 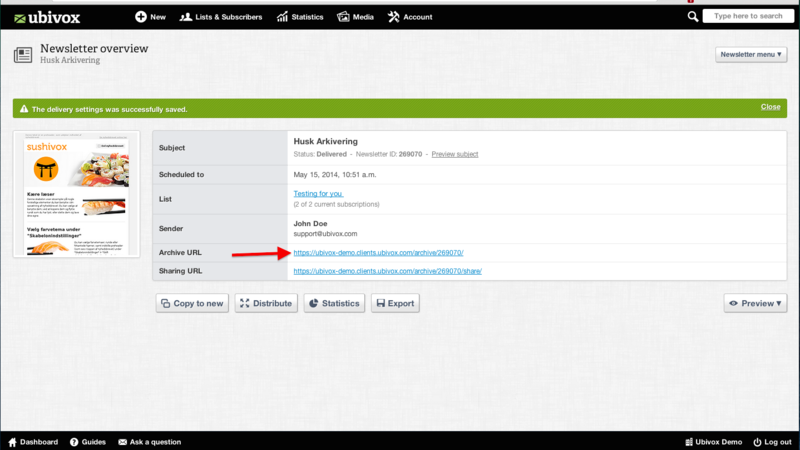 You will then get an archive URL (website address) you can copy and use for sharing. 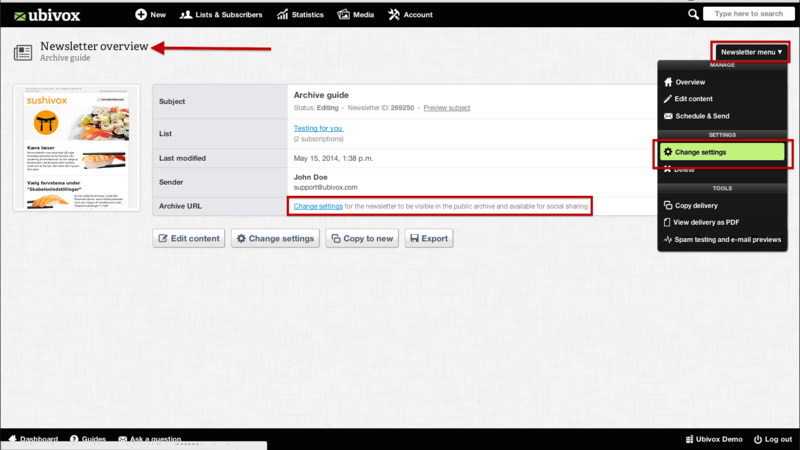 If you want to archive a sent newsletter, click on the subject line in the sent newsletter. Click on the link or select the Newsletter menu and chose Change settings. 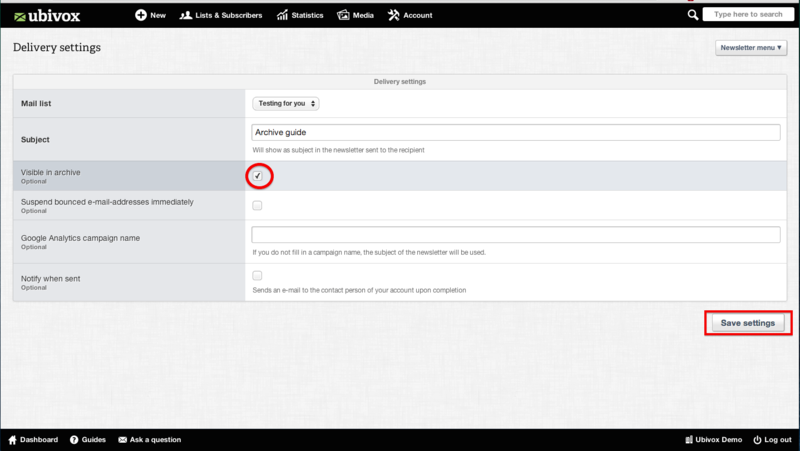 Click at the checkbox Visible in archive and Save settings. 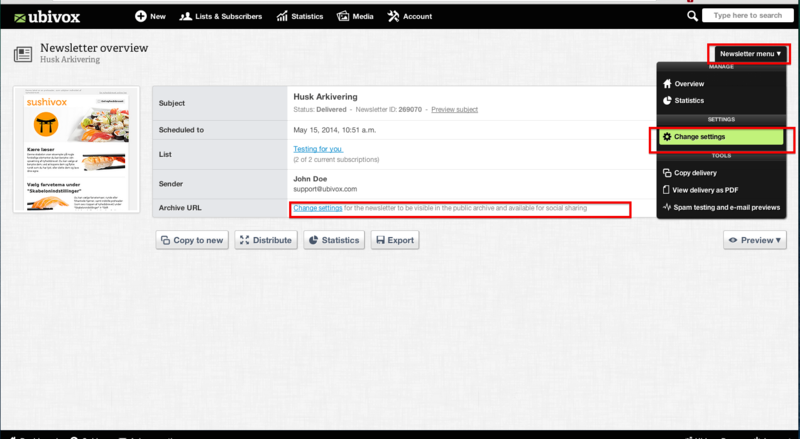 In the Newsletter overview you will now see an Archive URL and a Sharing URL. The Archive URL, is used in order to display your newsletter in your archive on the website. This URL is also used for social media. It is safe to use if you wish to share the newsletter on an individual basis. Since the URL is archived, it is not possible for others to unsusbcribe the individual that shared the newsletter. Sharing URL, is used to share the newsletter on social media, i.e. Facebook, Twitter etc. New users can sign up for the newsletter through these sites and the system will register that the user signed up through a Sharing URL.